House Speaker Paul Ryan said Thursday he hopes to quickly write up an amnesty bill and get it passed through the House. “The next step is putting pen to paper so we can start getting legislation to the floor,” Ryan told reporters shortly after he held a Thursday-morning meeting with the GOP caucus to push for a wage-cutting amnesty. Ryan suggested he would try to rush the bill to the floor. “Time is of the essence if we want to have a legislative process that we can control,” he said, referring to the group of 23 GOP legislators who threaten to use the discharge-petition process on June 25 to let Democrats pass their own amnesty. The bill would reportedly provide an amnesty to at least 1.4 million illegals, and it does not include a cap to prevent fraud or subsequent waves of migrants hoping to join the next amnesty. 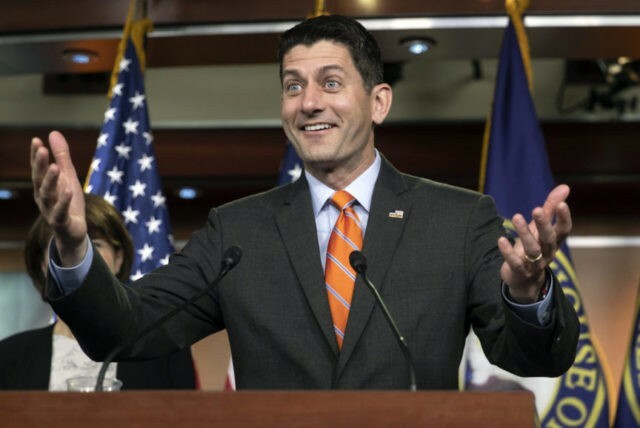 CNN reported mid-afternoon that Ryan’s legislation could be drafted “in the next few days.” The claim was made by Florida Rep. Chris Curbelo, a leader in the discharge-petition group whose district is dominated by Democratic-voting immigrant families who were brought into the United States by earlier amnesties.